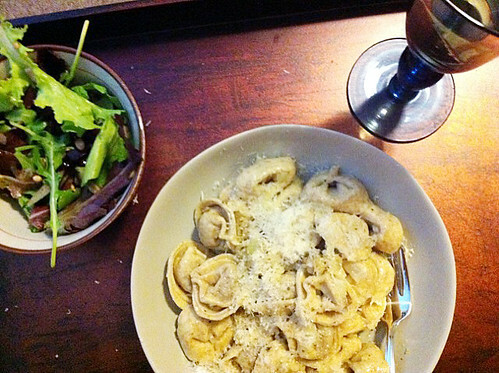 Tuesday was my first attempt at wine pairing since my return from the Okanagan. 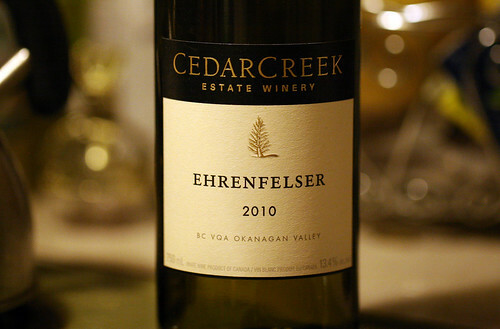 We visited 12 wineries while we were there, and this Ehrenfelser was the very first wine that I tasted on our trip, at Cedar Creek. It is pineappley. To complement the tropical notes of the wine I made a spring mix salad, dressed with Renée's Tangerine & Lime vinaigrette and roasted sunflower seeds. 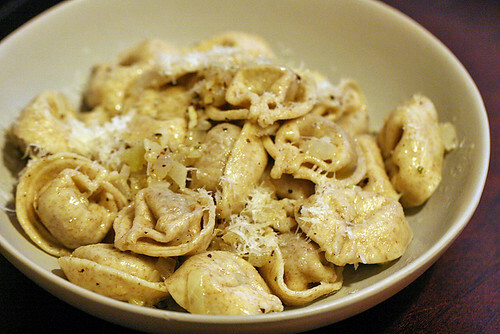 Second course: butternut squash & sage tortelloni, with a sauce made of olive oil, onions, garlic, butter, black pepper and sage. Generously Parmesaned. So buttery! So garlicky! SO GOOD.